The beginning of August brings around one of our favorite events of the year. If you&apos;ve never been to Musikfest, this is most certainly the time to check it out! Where else can you enjoy ten days of fun including food, drink, and more than 500 free performances? Make your way to Bethlehem, PA August 5 - 14 for an experience you&apos;ll never forget. Maybe Musikfest will even become a new tradition for you and your family or friends! 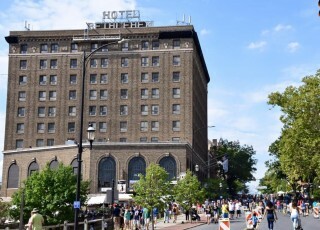 As locals, we&apos;re pretty familiar with all the tips and tricks to make the most of your visit during the &apos;Fest. Check out our top five pieces of advice that will have you &apos;Festing like a pro in no time. Don&apos;t try to outsmart the shuttle parking lots. The folks who run Musikfest have been doing it for more than 30 years. By now, they&apos;ve ironed out just about every issue that could possibly happen. Don&apos;t waste your precious &apos;fest time driving around looking for street parking. There are two garages available on the North Side of the city - one at Walnut Street and one at North Street. In addition to these garages, there&apos;s also a shuttle that runs from parking lots near Martin Tower. You can leave your car here for free, and the shuttle costs just $4. In addition to transporting you to the Musikfest grounds, you can also hop on this shuttle as a transfer service from the North Side to the South Side, and vice versa. Invest in a mug - trust us. No one likes a warm beer! (Or soda, that&apos;s cool too.) While you might think it&apos;s not worth shelling out $10 for a shiny new Musikfest mug, you&apos;re friends will be annoyed when you&apos;re spilling beer all over the dance floor. These trusty mugs keep your beverage of choice ice cold, and also help to reduce messes if you&apos;re a dancing machine (or just bad at walking and drinking out of cups at the same time, like me). You can pick up a mug throughout the festival grounds and fill up at any beer tent. A number of local restaurants & bars will also be offering mug refills, so keep an eye out for special deals! Have a mug from a previous year&apos;s &apos;Fest? Go ahead and bring that along! Listen to at least one band that you have never heard of. One of the most exciting parts about Musikfest is the wide variety of musical genres that are represented over the course of the ten day event. 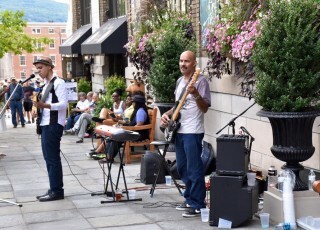 Everyone loves a good cover band to round out a day filled with fun, but don&apos;t overlook the other musical acts. From reggae, to rock, to country, to polka, to jazz, and oh so much more - we encourage you to break out of your comfort zone and catch some sets from bands that you might not normally listen to. 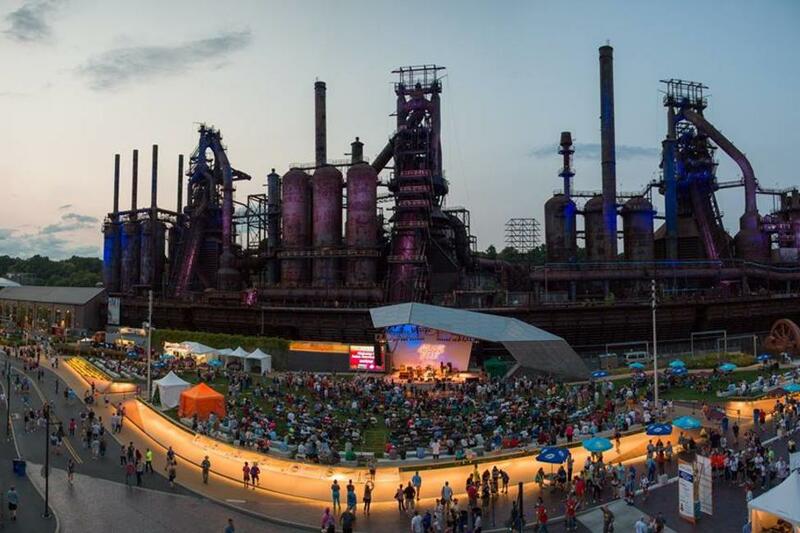 Check out what&apos;s playing on the smaller stages, including a number of stages inside the ArtsQuest Center at SteelStacks (plus, there&apos;s AC there so you can cool off while enjoying some music). And for that matter - enjoy entertainment beyond music. Musikfest is not just for musical acts. You&apos;ll find street performers including dancers, comedians, live theatre performances, and more. Highlights at this year&apos;s &apos;Fest include the Privy People, providing some laughs while you wait for the bathroom and the return of two crowd favorites - SAURUS, a walking dinosaur act performed by Close Act Theatre, and the ever-popular silent disco. The people dancing around with headphones on may look silly from afar, but you&apos;ll understand the fun as soon as you grab a pair for yourself! Don&apos;t leave your appetite at home. Like any good festival, Musikfest is packed with good eats. You&apos;ll find trusty favorites like Take-A-Taco (winner of the 2015 Musikfest Madness bracket competition), Aw Shucks Corn, Island Noodles, and plenty of kabobs. But, be sure to check out some of the new arrivals to the &apos;Fest including Carolina Barbeque and Tica&apos;s Tacos. Food is available for purchase at individual vendors throughout the festival grounds, but note that you&apos;ll need tickets to pay for food on the North Side. Tickets are available at clearly marked stands where they&apos;re happy to accept cash or credit. On the South Side, you can opt to pay via tickets or cash/credit. But keep in mind - you can&apos;t return the tickets! It&apos;s always better to go back and buy a second batch than be stuck with tickets you didn&apos;t use at the end of the &apos;Fest. There&apos;s so much to see and do through the Musikfest grounds. For the most up-to-date information on performance schedules and more, be sure to check out their website. We&apos;d love to hear from you about your favorite memories from Musikfests past - including tips and tricks for newbies! Sound off in the comments below. We&apos;ll see you at the &apos;Fest!